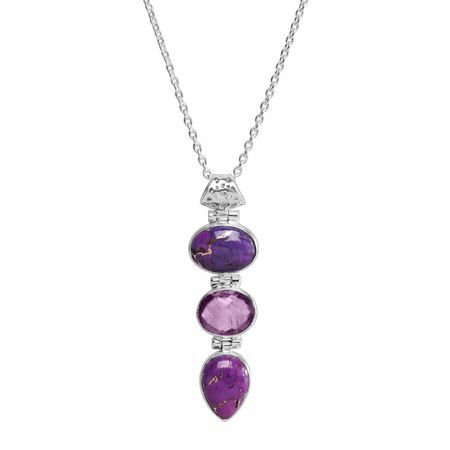 Shine with this pendant that's as unique as you are, boasting rare purple compressed turquoises and a sparkling amethyst in a setting of sterling silver. Pendant measures 1 15/16 by 9/16 inches. Necklace measures 18 inches long, plus a 2-inch extender for adjustable length, and features a lobster clasp. Piece comes with a “.925” sterling silver quality stamp as a symbol of guaranteed product quality.